Lee learned to ride in 2005. Within two weeks of never sitting on a motorcycle he had his full class 6. Soon after he bought a 1989 Honda CB1 as his first motorcycle. Lee has ridden well over 150,000kms on the streets and track since he first started riding. Keeping himself and others safe has always been a priority. 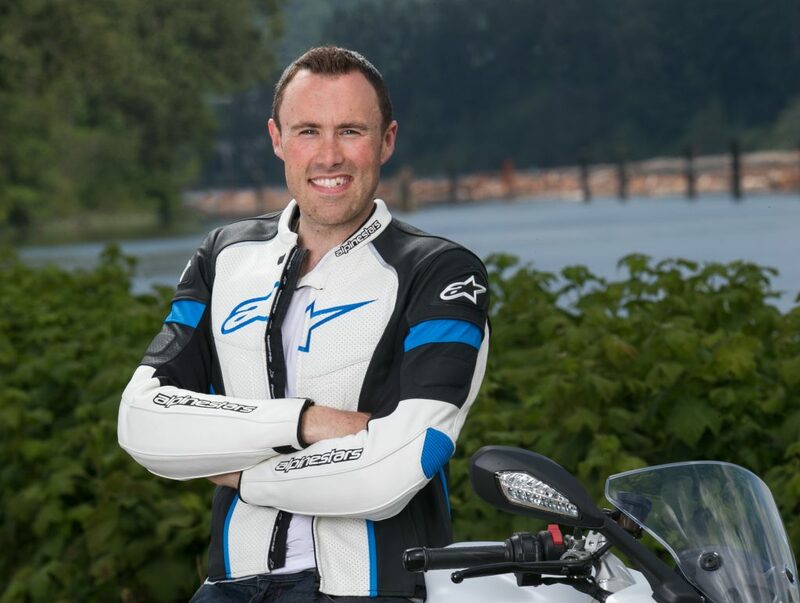 To further his motorcycle education he has taken programs at West Coast Superbike school, American Supercamp, Optimum Performance Rider Training, Go FlatTrack, Northwest Motorcycle School and trained with experienced racers such as Josh Hayes, Danny Walker, and Jake Gagne. Lee loves track days and has ridden The Ridge Motorsports Park, Thunderhill Raceway, Phillip Island, Vancouver Island Motorsport Circuit, Area 27, and Mission Raceway. Lee is also a safety rider at Pitt Meadows Track Days. Trips and Track Days are what Lee loves to do the most on motorcycles. 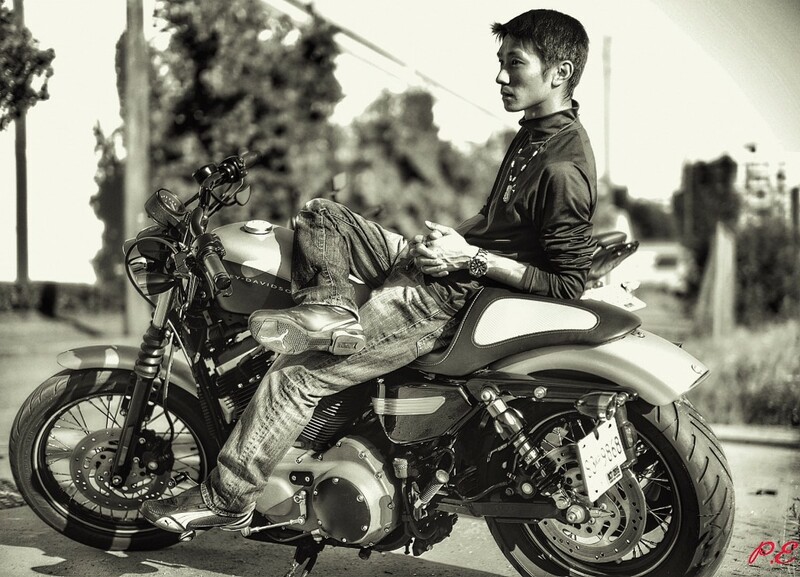 Most of his motorcycling kilometers have been spent outside city limits in the Western United States, and even as far away as Mexico, Australia, Vietnam and Thailand. Organizing multi day rides with several other riders has been common place. One of Lee’s favorite rides was leading 25 riders through the state of Oregon and leading them all home safely. When it comes to the track, he doesn’t race. The track is where Lee can push the limits of the motorcycle and himself to learn. Lee has also written a book on getting into motorcycle riding. Your First Motorcycle: Be Safe, Start Right, Have Fun is available on Amazon in paperback, ebook, and audio book. You can see all his adventures at www.ridefar.ca. He also interviews great and interesting riders, reviews and writes about everything related to motorcycling. In his past life he was a financial planner and left that to start 1st Gear Motorcycle Training. 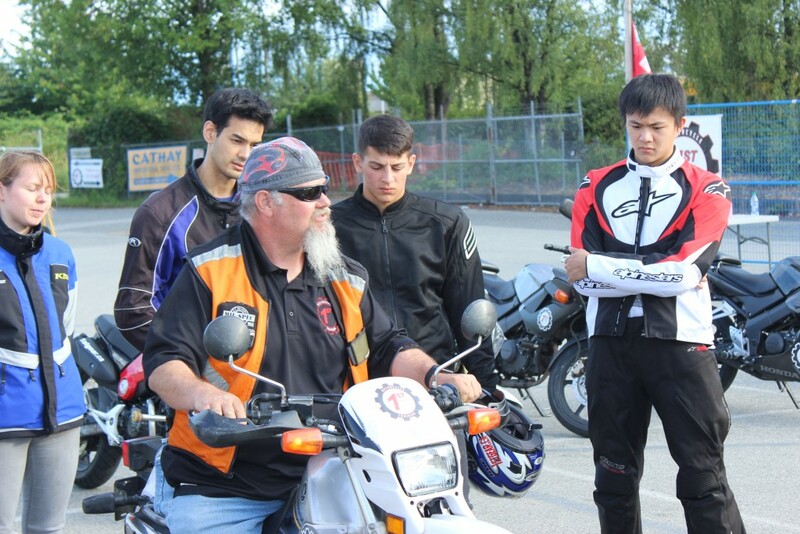 Not only can he teach you ride but he can help you with the “numbers” of motorcycle riding. Owning and Riding a motorcycle can be expensive. Lee knows how to do it in the most cost efficient way possible. This includes the numbers behind insuring your motorcycle, insuring yourself, buying/selling motorcycles, and spending wisely. Lee is also a forever student as well. In the recent past and currently, he has taken dance, piano, trampoline, aerial silks, and personal training. Always being a student ensures he never forgets what it is like to be the one learning. There is nothing Lee would like more than to see his students have long, safe and fun experiences on their motorcycles just like he has. 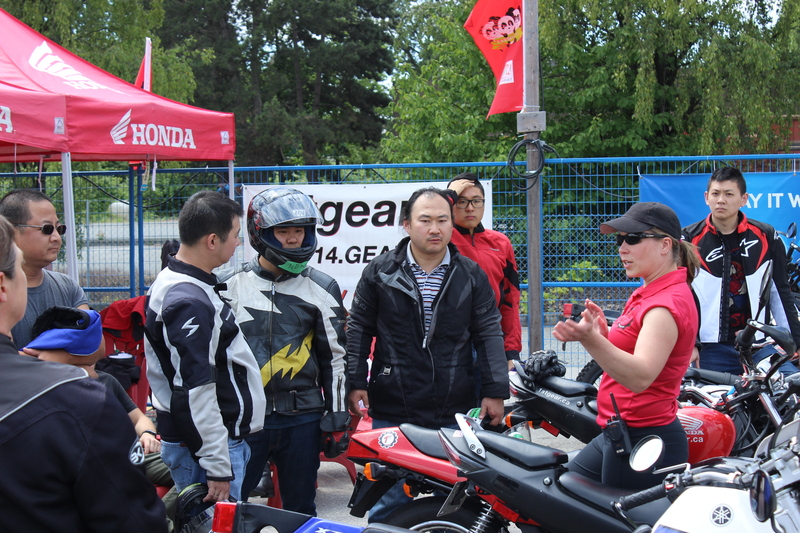 Lionel must have motorcycles in his blood; he comes from a long line of Riders and brings over 16 years of riding experience to 1st Gear Motorcycle School. He was also an Instructor at ProRide Motorcycle Training in North Van before coming to 1st Gear. He has ridden in 4 different countries on a plethora of different bikes. Lionel is a consummate urban rider logging many years of riding in both a city and rural environments. Currently his bike of choice is a Kawasaki Ninja 400. His teaching experience also includes 9 years of First Aid and SCUBA Diving instruction, and his personality is said to lend itself naturally to teaching. Outside of riding Lionel enjoys all things active and outdoors: from snowboarding and snow shoeing in the winter to kayaking, hiking, and running in the summer. Mel’s love for motorcycles comes naturally from her Dad who had her as a passenger before she was even born. In 1997 she decided that being a rider and having a bike of her own would be considerably more fun. She was right! Since then she’s owned a few different makes and models, the latest being a Suzuki GSX-R 750. Mel firmly believes “Choosing a ride is a very personal thing…like choosing a wine. It’s not about what someone else enjoys, it’s what feels (tastes) good to you.” Mel is nurturing and patient with her students and enjoys adding humor into the mix every chance she gets. During the week she runs a dental office and when she’s not with us at 1st Gear, she enjoys spending time with friends/family. Some of her interests: Yoga, red wine, sunshine, dogs, clean sheets, cake batter flavored ice cream and laughing till it hurts. After being a passenger on a bike, Nicola decided to venture into being coming a rider herself. Within 2 months of walking into a riding school, she had her riding license and had bought her first motorcycle. Through the years, she developed a passion for long distance riding, both solo and with friends. She has fully embraced motorcycling, becoming an all season rider from early on and commutes in addition to long distance riding. As a year-round rider, she always had an excellent set of both rain gear and heated gear on hand. Patrick was born in to motorcycling. All his uncles rode and put him on the tank of a motorcycle for a ride when he was 3. He rode his first motorcycle by himself the summer he turned 5 and has never been without a motorcycle since. 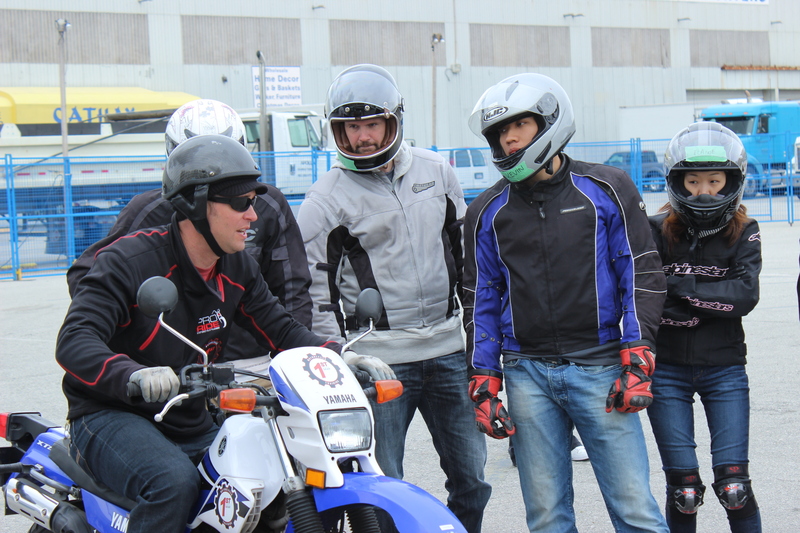 Patrick decided to become an Instructor the end of 2015 to instill his decades of riding knowledge on others. Patrick raced motocross in the interior of BC until he was old enough to get his road license then it was on to road racing motorcycles for a decade. Even though he stopped racing, he never stopped riding, logging in hundreds of thousands of kilometers on several different GSXR’s, the bike of his choice until 2008. After that it was on to the Italian’s and other European motorcycles. His current 2008 Ducati 848 has just over 100,000kms on it and still running strong. He divides his riding time between that 848, a 2015 triumph Daytona 675 and a newly purchased Aprilia RSV4 Factory. Patrick really enjoys talking/typing in the third person…..just don’t tell his therapist! !Patrick was born in to motorcycling. All his uncles rode and put him on the tank of a motorcycle for a ride when he was 3. He rode his first motorcycle by himself the summer he turned 5 and has never been without a motorcycle since. Patrick decided to become an Instructor the end of 2015 to instill his decades of riding knowledge on others. It was at first sight when Adam received his first motorcycle at the impressionable age of six and his love for motorcycles has never diminished. Over the years he has owned and built a large variety of motorcycles and is very passionate about mechanical improvements and trying to make each bike work as well as it can. Similarly he is a firm believer that riders should constantly strive to improve their riding skills through continued training and practice. 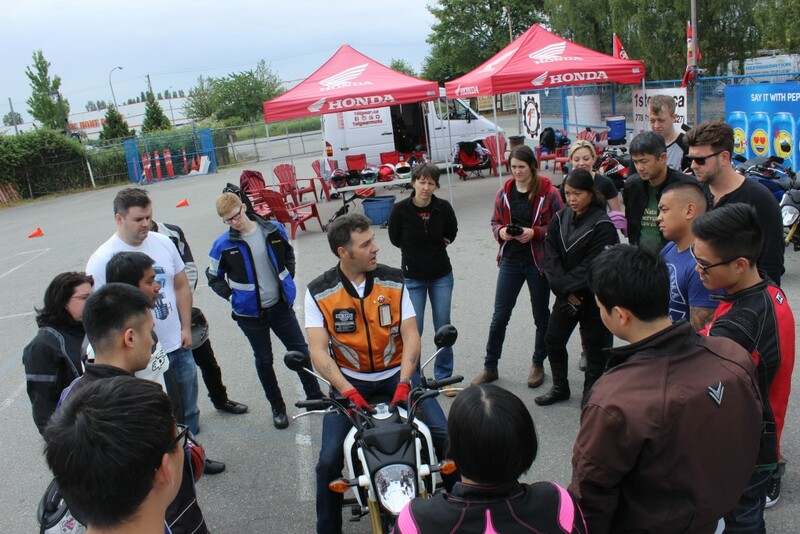 Adam also teaches advanced rider training at Roadcraft Motorcycle Academy and feels the knowledge he brings from the more experienced riders is of great benefit to the new riders that cross our path here at 1st Gear. Otto believes that knowledgeable information + sufficient on road experience = A true survival rider. As an experienced rider, Otto would focus on details to improve your riding skills and experience on the road. As a year round rider, Otto averages more than 12,000 kms per year on both city and highway throughout the greater Vancouver! He is also experienced in all types of motorcycles, from sports bike to cruisers, riding in groups or solo, he would have tons of experience and information to share!